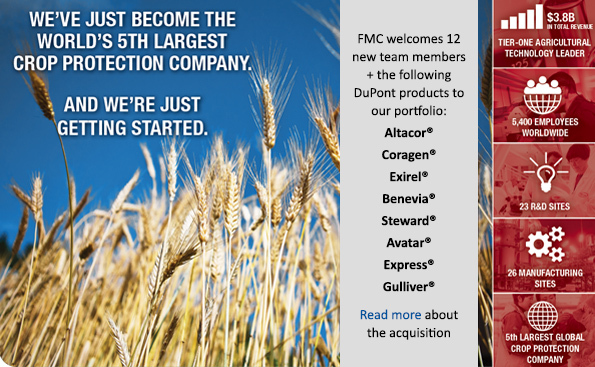 FMC Corporation is proud to have been serving the agricultural industry for more than a century — long enough to know that new threats are always on the horizon. Crop by crop, region by region, we’re dedicated to meeting these challenges. FMC is working side-by-side with Australian resellers and farmers to solve problems and create opportunities with our products and pipeline of proprietary chemistry. FMC is committed to driving innovation, enabling growers to increase quality and yield from every hectare.